Webmasters who serve several versions of their content in different languages or for users in different countries should use hreflang annotations to help Google show the right version in the search results for each user. Note: This guide was first published on rebelytics.com in 2014 and has since then been updated several times and moved to this blog. The correct implementation of hreflang can be quite a challenge. With this guide, I want to help you develop a correct implementation for your website. However, there is no one-size-fits-all-solution for hreflang. So if anything remains unclear, feel free to ask your questions in the comments section of this article. I normally reply within a couple of days. Google provides instructions for implementing hreflang, but when you look at how hreflang is implemented on most websites, it becomes clear that those instructions are often misunderstood by webmasters. Before you continue reading this article, you should still check out Google’s instructions here. After reading Google’s official instructions, following the advice in this article will help you avoid the most common mistakes and provide you with some additional tips. Here we go! These are the steps I want to walk you through. How do you implement hreflang correctly? It’s quite simple: As soon as there is more than one version of your website for users from different countries or if your website is available in different languages, you should consider implementing hreflang annotations on your website. Example 1: A website in English language with a version for the US, a version for the UK, and a version for the rest of the world. Example 2: An international website with English, French and Spanish language versions. Example 3: A global website with one version for Europe, one for the US and Canada and one for Asia/Pacific, all in English language. Example 4: A website that targets users in the US with an English and a Spanish language version. Example 5: A website with several country domains, some of which have more than one language version (for countries with more than one language spoken). We will be using these examples throughout this guide and we will develop a correct hreflang implementation for all of them. Is your website similar to one of the examples above? In this case you most likely need an hreflang implementation. Let’s get started by getting a clearer picture of your international or multilingual website structure. The purpose of hreflang annotations is to signal to Google that there are several versions of a URL for users of different languages or from different countries. URLs for users of the same language or from the same country are normally grouped into language or country versions of a website. So, in order to determine which hreflang values each URL on your website should receive, it is a good idea to start by mapping out exactly which users your different website versions target. Website version: Your website versions can be located in different subdirectories on the same domain, on different subdomains or on different domains. Language: Each website version can be assigned exactly one language, the language of the content of this version. Make sure you do not mix languages within website versions. Countries: Last but not least, each website version can target users in any number of countries ranging from 1 country to all countries in the world. For some websites, this table might be very simple, but for others, especially websites with lots of different version, this approach will be very helpful. Let’s recall the examples for different international or multilingual website structures from the previous step and have a look at what the structure map would look like for these examples. This is a typical example for companies from the UK or the US that have already expanded into the other market and are targeting English speaking users from the rest of the world on top of that. Note that here, the UK content is hosted on a .co.uk domain, but it might as well be hosted on the .com domain, like the other two versions. This example is just to show that hreflang can be implemented across different domains. This is an example of a company targeting users globally in different languages, a scenario you often see with location-independent companies in B2B sectors, like SaaS or similar industries. All three language versions are hosted on the .com domain in different subdirectories. Global brands often separate their web presences into versions for economic zones or continents, and this structure often represents the top-level organisational structure of the corporation. Although I would prefer a more user-centric approach to structuring website versions, this is a scenario we do see a lot in reality and it is one that we need a good hreflang solution for. The mixed domain and subdomain structure is also something I would not necessarily recommend, but structures like this one do exist and should be accounted for. If your website structure resembles this example, this guide will provide a solution for you! This is a website structure you will see a lot in countries that have more than one language spoken. The country and the languages in this example could be replaced and you will often see this structure on a country-specific domain, like .be for Belgium or .ca for Canada. The last example we are looking at in this guide is typical for e-commerce players that operate across several countries. While B2B companies tend to choose global language versions over country versions, online shops and other B2C companies often prefer country versions. Country-specific versions can be hosted on country-specific domains, like in this example, but they can also be hosted on subdomains or in subdirectories on a generic domain. I deliberately mixed different domain, subdomain and subdirectory strategies in the examples above, in order to show you that you can implement hreflang across almost all combinations of domains, subdomains and subdirectories. A note on international domain strategies: My favourite approach is to avoid different domains and subdomains and to group all website versions in different subdirectories on the same domain. I have good arguments for this, but I will not discuss them in this article and not today 😉 Give me a shout if you want to talk about international domain strategies with me! Google automatically interprets content on country-specific domains (ccTLDs) as targeted at users from exactly one country. ccTLDS (country code top-level domains), as opposed to gTLDs (generic top-level domains), are domains that are associated with a specific country. gTLDs, on the other hand, are not country-specific. This has important consequences for your international targeting. With a subdirectory or a subdomain on a ccTLD (i.e. a country domain), you should only target users from the country that your ccTLD is associated with. Are you looking for proof for what I’m saying? Go to a Google Search Console property for a gTLD, open the report Search Traffic > International Targeting, change the tab to “Country” and have a look at the options you have here to target your content at users from a certain country. You will see that, for each property on a gTLD that you verify in Google Search Console, you can choose to target the content within this property at users from a specific country. This targeting option will become crucial for you at a later stage in this guide if you are targeting users in certain countries with content on a gTLD. Now, go to the same report in the Google Search Console property for a ccTLD and try to change the country in the option “Target users in … “ you just saw in the property for the gTLD. See what I’m going on about? For ccTLDs, Google does not let you specify a country. Rather, the country is already specified by the ccTLD you chose. You will learn more about this targeting option in step 10. For now, let’s see what you can do to avoid problems with this. If you use ccTLDs, in Google’s eyes, you automatically target users from the corresponding country and not users from other countries with the content on your domain. Before you move on, make sure that, in the previous step, you have not created a structure where a website version that is hosted on a ccTLD targets users in countries other than the country associated with the ccTLD. This also goes for the targeting options “Rest of the world” or “All countries”. Website versions that target users in several countries should always be hosted on gTLDs. Speaking of gTLDs, which (in case you have not noticed) I am a huge fan of, let’s have a look at a potential of multilingual and international websites that lots of businesses miss out on: Do you have a website structure with several versions for different countries but no version for the rest of the world? Why would you want to miss out on more potential traffic by not creating a website version for users outside of your main target markets? This structure targets the same users as example 5 above, but on top of that, it provides website versions for users in other countries that speak one of the languages already available. As the languages are already available, it is normally not a big effort to add these additional versions to a website and a lot of additional search traffic can be driven this way. Each hreflang value consists of a language code and, optionally, a country code. The language code and the country code are separated by a hyphen. The language codes have to be in the format ISO 639-1, the country codes in the format ISO 3166-1 Alpha-2. Each hreflang value can only be assigned once. This means you cannot have two website versions targeted at users of the same language and from the same country. Each combination of language and country has to be unique in your hreflang structure. URLs may receive multiple hreflang values. This will come in handy in examples like no. 3 above, where a website version targets users in multiple countries, but not all countries in the world. Now, let’s add a fourth column to our website structure table from earlier on and get things going! Here, the English version for users in the rest of the world receives only the language code for English, while the two country versions for the US and the UK receive the optional country codes. The website versions in this example are not country-specific, so they all just receive language codes and no optional country codes. Every website version in this example targets more than one country, so they all receive multiple hreflang values. We will see how to implement this later on, but if you’re curious about assigning multiple hreflang values to one URL, check this out: Multiple hreflang tags can point to one URL. In this simple example, we see two versions with the same country code appended to different language codes. All website versions in this example are targeted at a specific country on hosted on a ccTLD, so they all receive the optional country codes. Mind you, in this case the country codes are not really optional, as the website versions are hosted on ccTLDs. As we have learned above, ccTLDs are automatically associated with countries. In order to be consistent, URLs on ccTLDs should always receive hreflang values with the correct country code. If you have been doing research about how to implement hreflang on your website, you have most likely come across the concept hreflang=”x-default”. Google and Yandex introduced “x-default” in 2013 and it certainly hasn’t made the implementation of hreflang any easier for webmasters. Quite the contrary: This new value has caused a lot of confusion among international SEOs over the last few years, so let’s clear things up. This most often applies to home pages. In Example 2, which we last saw in Step 4, the URL https://www.rebelytics.com/ might redirect users who have English as their browser language to https://www.rebelytics.com/en/. Users with French and Spanish set as their browser languages might be automatically redirected to https://www.rebelytics.com/fr/ and https://www.rebelytics.com/es/, respectively. In this case, the URL https://www.rebelytics.com/ would be included in the hreflang annotations and would receive the value “x-default”. This is obviously not limited to home pages. Although cases like this are a lot rarer, the URL https://www.rebelytics.com/products/ might redirect to https://www.rebelytics.com/en/products/ for English-speaking users, to https://www.rebelytics.com/fr/produits/ for French speaking users, and to https://www.rebelytics.com/es/productos/ for Spanish speaking users. In this case, an “x-default” version would not only be defined for the home page, but for all sub-pages of the website. We will learn more about implementing hreflang on an URL level in the next step of this guide. In this case, Google would show the URL https://www.rebelytics.com/ to all users that are not using Google in English, French or Spanish. At this point it is important to note that Google will pull the information displayed in the search result snippet from the URL the Google bot is redirected to, so pay attention to this. Let us now move on to the next (very similar) scenario where you might want to consider using “x-default”. Scenario 2: For a set of versions of a URL for different languages or countries, you provide a default version with a country or language selector. Like Scenario 1, this second scenario normally applies to (but is not limited to) home pages. In plain and simple English this situation would mean that your multilingual or international website has a home page where the user can select the language he or she wants the content to be shown in or the country he or she is located in (or both). The difference to Scenario 1 is that the selection of the right URL version for the user does not happen automatically by means of a redirect, but is executed manually by the user. The hreflang annotations would be the same as in Scenario 1: The URL that hosts the language or country selector is assigned the “x-default” hreflang value, just like the URL that redirects the user based on the browser language or user location in Scenario 1. The result is also similar: Google will now show this version of the URL to users that are not using Google in English, Spanish or French, with the slight difference that here, the page provides its own content to be included in the search result snippet. Think about how to optimise this snippet for a global audience! The third and last scenario is one that can be used by almost all websites that do not separate URLs with an automatic or manual language or country selection like the ones described above. Scenario 3: You want to declare one of the website versions you already have assigned a hreflang value to as the default or fallback version for users who use languages or are located in countries that you do not have a website version for. This scenario can easily be applied to all of the examples we have seen above. Just pick one of the website versions you have already defined hreflang values for and add the value “x-default” to it if you want this version to show for all users that use languages or are located in countries you do not have a website version for. This way we let Google know that we want https://www.rebelytics.com/en/ to be the version of this URL that we want to be shown to users that we have not specified a website version for. Now that you have defined all of the hreflang values you need, we can almost move on to the implementation! But before we do that, let us talk about one more very important topic: The implementation of hreflang on a URL level. As you probably already know, every set of URLs on your website receives its own hreflang annotations (so far, we have only assigned hreflang values to entire versions of your website). The implementation of hreflang on a URL level can be a bit of a challenge, so in step 6, we will talk about how to avoid the most common mistakes with this. hreflang annotations have to be implemented on a URL level. This means that every set of URLs (different language and country versions of one URL) receives its own set of hreflang annotations. When implementing hreflang on a URL level, it is important to pay attention to the following details. First of all, not all of your pages might exist in all language or country versions of your website. Make sure you do not use hreflang annotations to point to pages that do not exist. I have seen this go terribly wrong on several occasions. Secondly, make sure that only pages that are supposed to be indexed by search engines receive hreflang annotations. hreflang is always an indexing signal, so you do not want hreflang annotations pointing to pages that you do not want in the index. Determining which pages receive hreflang annotations might be a bit tricky for you if there are big differences between your website versions or if you are a heavy user of canonical tags. Just make sure that you account for all of the exceptions and that only pages that are supposed to be linked with hreflang receive annotations. If you are using separate mobile URLs, Google currently recommends to have one set of hreflang annotations linking the different country and language versions of your desktop URLs with each other and another set of hreflang annotations for your mobile URLs. The same is valid if you are using AMP: Desktop URLs are linked with their desktop equivalents and AMP URLs with their AMP equivalents in other languages or for other countries. Read more about this topic here. Now that you have completed your hreflang structure, you just have to decide how you want to implement hreflang. Read on to learn more! Let me walk you through the pros and cons of the three methods. I am pretty sure that this is the most popular version across all websites that use hreflang, probably because it is the simplest one to implement for most developers. Google normally processes the information included in the header section pretty well, so this is an option that I have had good experiences with in the past and that I can definitely recommend. However, there are a couple of disadvantages of this method that I would like to share with you. First of all, if you need an x-default value for a default home page that redirects users based on their location or browser language (see Scenario 1 in step 5), you will automatically generate a hreflang error if you opt for the source code variant: As the x-default version redirects to another URL and therefore does not have a source code, you will not be able to link back from the x-default version to the other language and country versions. Reciprocal links are a basic requirement of hreflang, so if your website has a home page that redirects users based on their browser language or location, you should probably choose one of the other two options to implement hreflang. Also, if your website needs lots of hreflang annotations for different language and country versions (like in example 3 below), your hreflang annotations will get pretty long. Some might argue that including a lot of additional code in the header section of your pages will slow down your page load times, and they probably have a point. However, I believe that this also applies to the other methods: If you have lots of hreflang annotations, you always need a lot of code. Let us have a look at how the hreflang annotations for some of our examples would look like, if implemented in the header section of each page. If there was a “products” page on each of the website versions, this set of URLs would receive the following set of hreflang annotations (and so on for all other URLs that exist on more than one of the website versions). I hope that these examples give you a good idea of what your hreflang annotations should look like if you decide to implement them as HTML link elements in the header section of your website’s source code. If not, just give me a shout and I’ll be happy to help. Let us now have a look at another option of implementing hreflang: XML sitemaps. Let me tell you straight away: I have had very bad experiences with implementing hreflang in XML sitemaps and I have also spoken to other SEOs that have had similar problems. Google does not crawl and process XML sitemaps as often as HTML pages and therefore has problems processing the information that is included in sitemaps on time. If you choose this option, you will probably experience lots of hreflang errors in Google Search Console and lots of pages being displayed to the wrong users in Google’s search results. Developers often prefer implementing hreflang in XML sitemaps over implementing it in the HTML source code of each page when they are dealing with very big websites that have lots of different language and country versions. I actually believe that a big amount of hreflang annotations causes a lot more trouble in an XML sitemap than it would in the header section of the source code of a page. This is the option I have least observed out in the field and that I therefore have the least practical experience with. I honestly do not know why so few developers opt for this variant. Unlike XML sitemaps, the HTTP header is processed every time the page is crawled, so Google always receives the hreflang information associated with a page at the same time as it visits the page. HTTP headers can be set for every URL, including those that do not have their own source code (like the home page that redirects users based on their location or browser languages) and also non-HTML files such as PDFs. One slight disadvantage might be that debugging and quality assurance are a bit more difficult with this option, as most common SEO tools do not really pay attention to HTTP headers. But I am sure this is going to change in the near future. The code you need for implementing hreflang annotations in HTTP headers is very similar to the HTML header variant we saw above, with slight syntactical differences. That’s it! With this information at hand, you should be able to decide which option is the best and most feasible for you and your developers. Continue reading to learn how to complete and debug your hreflang implementation! If you are looking for instructions on how to actually get that hreflang structure you have developed onto your website, I am afraid I have to disappoint you (or maybe not? – keep reading!). This guide is mainly designed to help you understand what the hreflang annotations on your website are supposed to look like. The exact way you implement hreflang on your website depends on lots of different factors, like the method you choose and also the content management or shop system you are using. If you are lucky, you will find a decent plugin, but in most cases you will need the support of a developer for the actual implementation. Now that you’ve implemented hreflang on your website, you should create a Google Search Console property for every language or country version of your website, if you haven’t done so already. 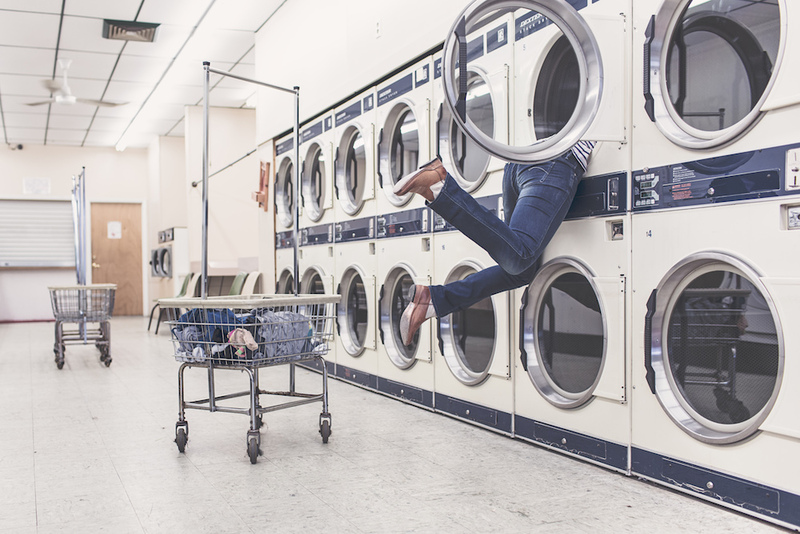 Why do you need a separate property for every website version? The most important reason is that in some cases you can send additional signals to Google via Search Console that will help with the correct interpretation of hreflang. We will learn more about this in step 10. Another good reason is that having separate properties really helps with monitoring indexing issues or analysing search queries per language and country. Just go to Google Search Console, click on the “ADD A PROPERTY” button, and add the exact URL of each of your country or language versions (including subdomains, directories, and the correct protocol). You will see that this structure really helps you analyse issues and performance of the different versions of your website separately. Let’s move on to the next very important setting you should take care of in Google Search Console: Country targeting. Above (way above), we already talked about the fact that ccTLDs (country-specific domains such as .de, .fr or .co.uk), are automatically targeted at users from the countries they represent. If you are only using ccTLDs, you can skip this step. gTLDs (and subdomains or subdirectories on gTLDs), on the other hand, can either be targeted at users from several countries, from all countries, or from just one or two countries. Google Search Console allows you to target properties at one country or at all countries. 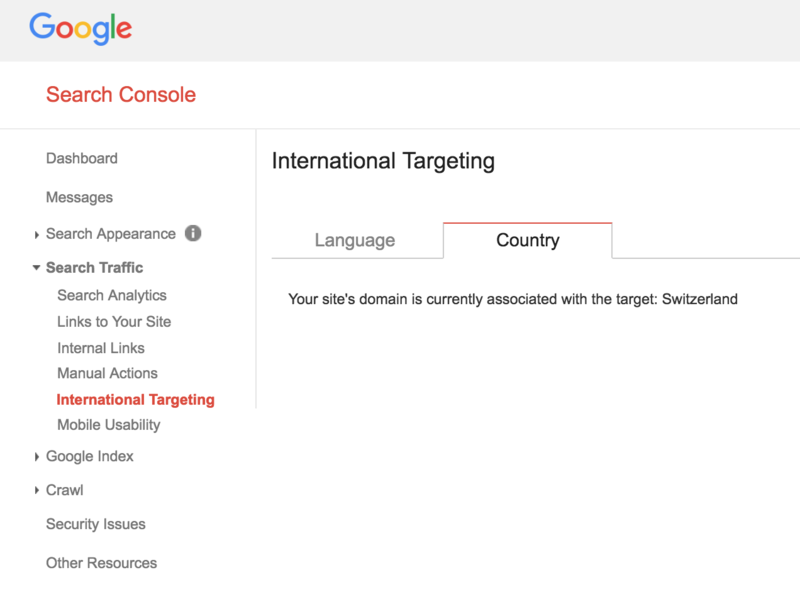 If you have a country version that is hosted on a gTLD, make sure that you select the same country it is targeted at via hreflang in the country targeting settings in Google Search Console. Also, make sure that you don’t set the country targeting of a directory, subdomain or or entire domain to a certain country, if it is really meant for users from more than one country or from another country. For your properties that are on a gTLD and that are targeted at users from exactly one country via hreflang, go to Search Traffic > International Targeting in Google Search Console and select the country. For all other properties, leave the country targeting option deactivated. That’s it! Any questions? Give me a shout. If there are any questions that remain unclear about the implementation of hreflang, please don’t hesitate to get in touch or write a comment under this article. I will be happy to help. Eoghan Henn is responsible for searchVIU's marketing. 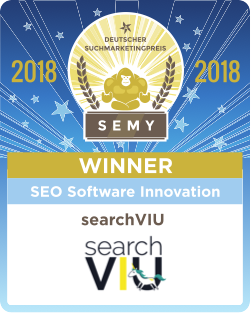 Before joining searchVIU, he worked as an SEO consultant for 6 years and built a reputation as a blogger and conference speaker. For Poland is PL no PO. You posted en-PO it`s wrong. Thanks for pointing this out and sorry about the error. I fixed it straight away! I am trying to build hreflang tags for a .co.uk site that is written in English (they have a US counterpart). This site can ship to a total of 25 countries, but we do not have 25 translations of the site for the different European countries. If I do it this way my site will only show up in search results for users that are using the https://www.google.fr/ search engine and have their language set to English, correct? Can I also add an hreflang using (fr-FR) to target people speaking French that are only in France? What about someone speaks German who lives in France that Googles for my branded term? If I just use the language hreflang with no specified location (fr) and someone in the US searches with French as their preferred language, they will receive the .co.uk version that the (fr) is indicating- right? Ultimately I am trying to target everyone in a specific country, but obviously I need a language attribute and cannot just have a country attribute. Am I thinking about this incorrectly? First of all, if you have a .co.uk domain, there’s no point in assigning other hreflang country codes than “GB” to content on this domain. Google automatically interprets content on a .co.uk domain as targeted at users in the UK (see here: https://www.searchviu.com/en/hreflang-implementation-guide/#step3), so the hreflang country codes you use on a ccTLD should always match the country the ccTLD is associated with, in order to send consistent signals. Another important aspect to keep in mind is that the language codes you assign to content should always match the actual language of the content, so you should only use language codes that you have translations for. This means that if you have an English language version on a .co.uk domain, it can only really be assigned “en-GB”. You could add a French language version on the same domain, but due to the fact that you are using a .co.uk domain, it would be interpreted as targeting users in the UK that search in French, which would be “fr-GB” in hreflang. If you really want to target users in other countries correctly, a gTLD would be better suited. And if you want to target users searching in other languages, you do need translations and not just different hreflang language values. I hope this helps for now! Please let mw know if you have any further questions. So on and forth for UK and AU. Would the above attributes help in crawling and indexing by Google? Unfortunately, your code examples were swallowed by WordPress. Sorry about that! Feel free to send me an e-mail and I will have a look at your question. What an interesting post and comments! I have a .com webshop in 3 languages (Dutch, German and French). The German language should target Germany as well as other countries with German language (for example Schwitzerland). The Dutch language should target people in the Netherlands as well as Dutch speaking Belgium people. Etc. The content on the German pages is the same for Germany and Schwitzerland, so my thoughts are that it isn’t necessarry to create different url’s for different countries with the same language. Unless it is better for SEO. The Netherlands is an important targeting country. Does hreflang=”nl-nl” or hreflang=”nl” make difference for SERP in Google.nl? The homepage (.com) is always redirecting a visitor to a certain language version .com/nl, .com/fr or .com/en. You cannot enter the .com page without a 301 redirect. Is it good to mark the .com as X-default or is the .com/en beter for X-default? Thank you very much for your questions and sorry about my delayed reply. Adding country values would not have any benefits in this case. It is not a problem to use only one version for Germany and Switzerland. You can compare the situation to Dutch speakers in the Netherlands and Belgium: For certain businesses, it might make sense to have different versions, if very different vocabulary is used in both countries to describe the products the business sells. In most cases though, the same content version will work perfectly for both countries. If you do decide to create a separate version for each country, then you should only do so if you are actually going to use different (localised) content on each version. hreflang=”nl” already includes all users in hreflang=”nl-nl”, so there is no benefit in adding the country code, if you don’t have different versions in Dutch language, like “nl-be” and “nl-nl”. And the answer to your final question is: Yes, in the case you describe, the root URL (.com) should be marked up as “x-default”. thanks for that very detailed and super helpful piece on hreflang. It answered almost every question! Still I have two things I am still struggling with. Let’s say I have a website with language subdirectories such as example.de and example.de/en. Would you either go for a sitemap that includes all pages tagged with hreflang attributes on the .de or should there be two sitemaps? One “example.de/sitemap.xml” with all the DE pages and a second sitemap on “example.de/en/sitemap.xml” with only the english pages. This seems very odd to me. But I will definitely go with a sitemap. On the other hand… does it make any sense doubling the attributes in the sitemap and in the HTML header? Let’s say there are translations for just parts of the website. So I use the hreflang just on these pages with multiple language variations. But how do I have to tag the pages that are just available in one language. but the translation for “best services” is missing. Do I have to tell Google about the language of the “best-services” as well and if so… How? Would highly appreciate your answer! Thank you very much for your interesting questions. It doesn’t really matter for Google whether you create one XML sitemap with all URLs from both language versions, or two separate sitemaps, but I would recommending the second option, as it is a lot easier to analyse errors when you have two separate sitemaps. I would not recommend doubling the hreflang annotations in the HTML header and the XML sitemaps. You should choose one method and only use that one. When only certain pages are translated, only those pages should get hreflang annotations. In your example, example.de/services/ and example.de/en/services/ could be linked with each other via hreflang, and example.de/services/best-service/ would not receive any hreflang annotations. Note: In this scenario, it would not do any harm if example.de/services/best-service/ had a hreflang annotation pointing to itself with the value “de” or “de-de”, if this makes your overall implementation easier. It’s just important to make sure that it doesn’t have one pointing to the URL of an English version that doesn’t exist. I hope this helps for now! Please let me know if you have any further questions. Great article! Very detailed and lots of helpful information! I have a client that has presence in over 140 different international markets. They are using a subdirectory structure for their internationlization efforts. For example, a section of the site targeting English in USA will live under http://www.example.com/us/en and Spanish under http://www.example.com/us/es and so the structure goes on for all countries & languages. Given that there are over 140 of those different subdirectories, I can’t imagine building out a HREFLANG through the sitemap. What’s the best approach here? Do we need to include all those different variations of countries and language for each URL on the website that has an alternative in another market? It just easily adds up to over 140 hreflang tags for each page and I am not quite sure how this would affect load times if implemented through HTML or if it would hit the limit of URL’s per sitemap file. What do you think is the best approach here? Thanks! Thank you very much for your comment. I’m glad you found the article helpful. A website with 140 country/language directories is definitely a challenge and I’ve seen lots of cases where a big number of website versions can cause lots of problems. Implementing hreflang in XML sitemaps might be a good approach in this case, although it’s normally not my favourite method. Please note that hreflang annotations don’t count towards the URL limit per sitemap, so if you a have a sitemap with 10.000 URLs that have 140 hreflang annotations each, you’ve still got a sitemap with 10.000 URLs. But the file does get significantly bigger, and there’s also a limit on the file size an XML sitemap should have. There’s a solution to this too though: You can always work with several smaller sitemaps (e.g. one per page type or one per content directory) and link them in a sitemap index file. And you should create at least one XML sitemap per country/language directory anyhow, instead of grouping all website versions in one XML sitemap. Implementing 140 lines of hreflang annotations in the HTML does seem like a lot, but I don’t think there would a significant effect on load times. This is something you could probably test and then make a decision based on the results. The third option, namely implementing hreflang via the HTTP header, might also be an option for you. In the end it’s a discussion you should have with your client’s dev team, in order to find out what makes most sense from their perspective and what they are willing and able to do. All three options are possible, and all of them are going to be complex, because of the large number of directories the website has. My site is targetting Asian countries and it ends with the extension .asia. So can I use hreflang on my site and kindly guide me how can I implement it. Yes, you can use hreflang with all domain endings, inlcuding .asia. Using hreflang only makes sense if you have more than one version of you website for users from different countries or in different languages. The above guide should help you implement hreflang correctly, and if anything remains unclear, please feel free to ask me detailed questions. I hope this helps for now! To fix the error, I have added this to header.php before the starts. Could you help me that if it is the right implementation or I don’t need to add this tag at all? Thank you very much for your comment. Sorry, my WordPress installation currently doesn’t allow code examples in comments. I am working on finding a solution to fix this. If your page has only one version, you don’t need hreflang tags. The message “Your site has no hreflang tags” in GSC is not really a warning, it’s more of a statement. Thanks for this guide, really appreciate it. One question though, I have a WP website for .co.uk and.com, with regards to implementing HREF LANG do I need to add the href lang en-us and en-gb with the URLs to both websites? I am not sure how I can even do this in WP! Yes, each URL on both versions needs hreflang annotations pointing to itself and to its equivalent on the other version. I use the WordPress plugin Polylang for managing multi-language and multi-country websites. It adds correct hreflang annotations automatically. Check it out! We have our website for US UK & India and using .com , .co.uk & .in cctlds. We are using GeoIP based redirections. We are using hreflang sitemaps for hreflang targetting. The main problem is earlier google was not even indexing any other version of our website, they were just indexing our US site so some SEOs suggested to stop the redirection for a while & when ur other pages get indexed, start redirecting again. It fixed one problem that other sites also get indexed. However catch is, pages are showing indexed but when we see Cache, it’s showing only .com version. Now is there any way to fix this issue? GeoIP-based redirects should be used very carefully. From my point of view, they are OK if they point from URLs that don’t have any content of their own (such as a root URL on a .com domain) to a localised version (a country/language directory or a ccTLD). GeoIP-based redirects that point from one content version to another should be avoided in most cases. It is not a good idea to set up such redirects from your .in to your .co.uk or .com domain or vice versa. You saw yourself that Google never indexed the content on the other two domains, because it was always sent to the .com domain because of its US IP. Removing the redirects temporarily isn’t a very good solution either. You might get your content crawled and indexed once, but what you really want it Google coming back regularly to re-crawl your pages. My recommendation here would be to reconsider how you want to use GeoIP-based redirects. You’ll have to work on signals that help Google understand that these are different versions of the same content for different users, not just the same content on different URLs. Thank you for your question. As far as I know, the order of the attributes does not matter and both examples you provided should work. If your international versions are on different domains, you have to set up different XML sitemaps. If they’re in different directories on the same domain, it’s optional, but recommended. do i need to setup different google webmaster tools for all international sites. I would always recommend setting up separate properties, if possible. That way it’s easier to analyse them separately. I am from India. I have one website (www.aroundthelife.com) only in english language. Its all pages are in english language. I want to target my site globaly. I have no any translated pages or post that available in other languages. which hreflang tag I should use? I am very confulsed about this matter. Please help me. For a website that only has one country or language version, you do not need any hreflang annotations. I have not targetted any of country. My site is for english speakers world wide. My all articles are in english language only, but in GOOGLE SEARCH CONSOLE following massage appear. Is this appropriate? What should I do? Don’t worry about that message. I think it shows up in GSC for all websites that don’t use hreflang, even if they don’t need hreflang because they only have one country/language version. I am developing a site at the request of a client. The site is a mix of dropshipping and direct sales of third party products. The idea? Go one step further! In this way, be the product page, the homepage, or the contact page will have your hrflang properly. My doubt comes in the next point. Some are automatically translated, others have identical content and other exclusive contents, depending on the language or region, in some cases they are redirected automatically, or by means of an alert (popup, banner, modal). I could not find an answer based on the deduction, although the site that most resembles my need is Ebay. The products are loaded from Amazon by using the api to import them. Titles, description, and everything imported is in English language. So, what suits me more? – At this point, when changing the language, the mo / po translation file of the site is activated for the translation corresponding to the site and an additional option with google translate to translate the description and the products. B) that each subdomain activate its translation mo / po with which each site appears in the language according to its region, for example, Italian for Italy. – At this point the user has the option to translate the product description using google translate as before. but my question is, what happens when google reads the header and finds part of the language in English? In case A, search engines would only find English content on your website, because they wouldn’t perform the user action that is needed to translate content. This would mean that you would not be able to generate much traffic from users searching in other languages. In case B, your content would be available in several languages, which would definitely give you more reach. But if you decide to set it up like this, you should really make sure that you have good and complete translations of your content. Mixed language content on a page is a confusing signal for search engines (and for users) and should be avoided. Both options are not ideal (because the ideal way would be to avoid automatic translations), but if you decide to go for option B, it would probably be better not to leave the translation of the product descriptions etc. to the user, but to already show them when the page loads, so that search engine also find them. Thanks for the best read I have come across regarding hreflang. I some follow up question regarding one of my client setup and hopefully you can clear some question marks for me. 1. They have 4 versions in German. Should I leave out the country parameter for one of them and just choose language? 2. They also have some English versions as well. Should I use language and x-default language on their main site for the rest of the world? 3. Do I also choose country in Search Console and rest of the world for the domains that I only specify language for (if that’s the best option)? Thanks a lot for your comment. I’m happy to hear that you found the article helpful. 1. This depends on the details of the different versions. You can mark up one of the German versions as a generic language version with only the language code, if it is not hosted on a country-specific domain like .de or .at. Are the other German versions for different countries? Make sure you don’t assign the same hreflang value to two different URL versions. If, for some reason, you have two German versions for the same country (e.g. Germany), you should probably use canonical tags pointing from one of the versions to the other. 3. If you only specify a language in the hreflang annotations, you should not specify a country for this version in Google Search Console. When there are several directories for different countries on one domain, you can set up a property in Google Search Console for each directory and specify the country there. Make sure you don’t specify a country in the property of an entire domain, if the domain contains directories that are supposed to be targeted at other countries. Also, note that for a ccTLD (country specific domain, like .se, .de or .it), you cannot change the country setting in Google Search Console, so your hreflang annotations on that domain should also always have the corresponding country code. It is very important to align the signals you send in your hreflang annotations and in the country settings in Google Search Console. Feel free to ask more follow-up questions if anything remains unclear. You can also send me an e-mail if you have more detailed questions about the website and you don’t want to share client info publicly. The german domain is hosted on .de and we only have one domain for DE, and duplicate content on AT and CH. Is it better to use de-DE instead? Or does it give some effect to only specify language? Is it better to specify all countries instead of X-default (it´s gonna be a lot of countries). Do we need the x-default or is it better to only specify language and “all countries” in SC? 1. If your content is on a .de domain, it makes more sense to assign it the value “de-DE”, as Google interprets .de domains as targeted at users in Germany by default. 2. No, there’s absolutely no need to specify all countries in hreflang annotations for a version that is for the rest of the world. Also, “x-default” is optional in most cases (except when there’s an actual default URL that does not have a language of its own, like a language selection home page or a root URL that redirects based on location or browser language). You can use “x-default” as an additional value on any version that you want to be shown when none of the other version matches the user’s language and location, or you can just leave it and let Google decide which URL to show to those users. I hope this helps! Please let me know if anything remains unclear. You are the man Eoghan! Thank´s for your time and the amazing read! First of all I would like to thanks to you to provide such a informative post about Hreflang tag. Could you please guide me that I have one query that currently I have one website (www.example.co.uk). Now I am planning to make two alternative websites in Ireland country. For example http://www.example.ie and another one is http://www.abc.ie and i would like to use Hreflang tag for all these site as per below. Thanks a lot for your comment. Please let me ask you some questions, so that I understand your query better. Is the content on one of the Irish websites identical with or very similar to the UK website? What is the difference between the two Irish websites? hreflang annotations make sense when you have several versions of the same content on different URLs for different countries or in different languages. Please tell me a bit more about the content on your websites so that I get an understanding of which kind of implementation you need. Thanks a lot for replying and hope you are doing well! Please find below my replies. 2. What is the difference between the two Irish websites? Both are different domains and i would like to use UK site content to these Ireland websites by using Hreflang tag. For example my UK site is http://www.example.co.uk and this site is completely unique content and lots of pages has indexed by Google. Now I would like to expand my business in Ireland that the reason I would like to create two domains. Kindly let me know if you need any more details please. Thanks for your reply. Finally we are going one Ireland website only. I will considered all your valuable points on our website. Thanks a lot once again for providing valuable posts. I have been searching around for a while but can’t find a real solution. Your article helped me the most. But my case is tiny bit different. I must have done something wrong cause I don’t get the Turkish page when I search and click. I have two entries on google search console for each language. If you could help me, I would be grateful. I had a look at your page, but it seems like you’ve changed something since you posted this comment. You know have three versions of your home page, two in Turkish and one in English. Can you send me some more info so we can talk this through? thank you for spending time on my site. turkish searches in turkish settings homepage was not coming up at all. Another page shows up in 6th page or more. I desperately tried everything. I separated sitemaps. I added sitemap indexes. I put another property in search console for each language (both www and non-www versions) but nothing changed. The “x-default” value is optional, but the language value should definitely be there. I guess Google might have been confused by the missing language value for the English version. In your new implementation, you have two Turkish versions of your pages and you define one of them as “x-default”. One Turkish version would be better and the “x-default” value is probably better suited for the English version (otherwise, a German or French speaking user, for example, would be shown the Turkish version). Your recent changes have caused some additional confusion with Google. Your old English pages in the root directory are still indexed, but return 404 errors. It might be a good idea tro go back to your old structure as soon as possible and add the language value for the English version. Make sure you redirect your “new” English URLs in the /en/ directory to the old English URLs and your “new” Turkish URLs in the root directory to the old Turkish URLs in the /tr/ directory, so that they don’t return 404 errors if they have already been indexed. I hope this helps and please do let me know if you have any further questions! I’ll do it your way. By the way I did an extensive research on my competitors. The ones with my kind of international targeting suffers with the same problem. Their non-root domain languages are at a lower ranking. But the problem might be somewhere else. If you’d like me to have a quick look at your competitors and tell know what I think about their international targeting, just send me an e-mail with their domains. And let me know how it goes with your hreflang implementation! I am struggling with some concepts . How to use analytics with pages which have hreflang alternatives. I want to know the concept and what is possible on such pages. Will we have separate analytics/hits for different URL.? Can we combine the result? Is it natively supported or we customize it. Per default, URLs with hreflang annotations are still tracked separately in web analytics tools. I would recommend to keep the tracking separate, but there are ways of grouping URLs when you evaluate the data. It might even make sense to track a custom value for every set of URLs, so that you can group them easily in your reports. Currently no google analytics or any analytics. After two weeks or more with it, I will come to know more about a solution. OK, good luck! Let me know if you have any questions! We have almost implemented hreflang and the site structure because of your help. Whenever a visitor manually writes domain.tld then we detect his country and he gets redirected to correct sub directory. Also we give manual drop down in each page to select a particular supported country. We have two ways to implement this; with cookie and without cookie. Expected behavior of google indexing is as follows. Thus user will always get correct URL and redirection wont be needed in google search results. 2) Cookie with country is set in first load. Behavior, first time country is detected and set in cookie. Next user closes the browser and manually enters domain.tld and he gets the content shown to ‘us’ . But URL in address bar doesn’t changes. Thus he will continue to browse the correct language but URL will not change with sub directory. In this each time country value is not checked and not redirected to change the URL structure. In which way google will have trouble to index correct variation of data since hreflang is used so that prices shown is correct according to country. The cookie solution will not affect how Google crawls your pages, so don’t worry too much about it and pick the option that’s best for your users. The only thing I’m wondering about is why you don’t want to make the URL change in option 2? Why don’t you redirect the user to the right county version based on the cookie? Check out how https://sedo.com/ does it (the language selction menu is located at the top of the footer area of the page). When you change the language, your selection is stored in a cookie and when you access https://sedo.com/ again (without language directory) you are redirected to the language directory you had previously selected. Option 2 is what my development team had suggested and I was more inclined towards Option 1, and Google also confirmed that option 1 will be best. Once we are launched properly, it will be my Honor to have you visit the project. Thank you for you guidance. Great, I’m looking forward to that! Good luck with your launch! Thanks for your great articles about hreflang! We implemented the hreflang tag for our products directory (www.example.de, http://www.example.at, http://www.example.ch and fr.example.ch) 2 months ago, but can’t see any changes – the .de shop still appears in AT and CH rankings. Can you say within your experience how long it takes to see any impacts of hreflang? I know that hreflang is more a signal than directive, but didn’t expect that the implementation doesn’t show no impact at all. The Google Search Console also discovered a few errors (about 10), so Google must have noticed our hreflang tags. Other thoughts are that maybe we have to implement the hreflang on every directory (sitewide) to see more impact? Normally it does not take that long for Google to process hreflang annotations, so if your hreflang implementation does not show any impact at all, there must be other factors that make Google ignore your hreflang annotations. I would definitely support your first idea: It is advisable to implement hreflang on the entire website, so every URL that has an equivalent on one of the other domains should receive hreflang annotations. Make sure your hreflang implementation is as complete and as clean as possible. On the other hand, with an incomplete implementation like this, make sure you measure the impact correctly: Changes will obviously only show for URLs that have hreflang, so you should check if the right version appears in the different country versions for the specific URLs you worked on. Other URLs will not be affected, so you might still see lots of pages ranking in the wrong countries. I will send you some additional information via email. thanks for your detailed answer and your email in German 😉 We found a few sites where the DE version ranks in AT also when the AT hreflang link exists. But we will definitely implement the hreflang tag on the entire website. It’s just a question of time. OK, let me know how it goes and don’t hesitate if you have any additional questions! Last question… What about 302 not passing link juice? Most of the legacy links go to the root… and if the crawler finds that 302 would it be lost? 1. By linking the x-default home page to the different language and country versions of the homepage, you let Google know that these pages are variants of each other. If you want to express it in these terms, the link juice is passed on via the hreflang annotations. In the root hp there are neither the links, nor the the hreflanfg annotation… there isn’t event the page itself, actually. At present, Google takes as hp only the US version even for searches from elsewhere. Only in the sitelinks do appear the local versions. If only Google guidelines were clear… I would not abuse your time and patience! Let me know how it goes for you after changing your redirect from 301 to 302. I’ve implemented the hreflang tags on all urls of my website, that has many local versions on subfolders. For the root homepage the server gives a 301 to the subfolder based on the location of the IP of the client. How can I put the “x-default” on the homepage if it does not exist? Also, is it always preferrable to have a default version of the website? What if all the local versions are equally important? Will Google take the US version as the default? Thank you! I’m glad you found my blog helpful. Thanks for you kind words! You’re right, this is an error in the system that I have also encountered several times in the past. You cannot add hreflang annotations to a URL that redirects when you choose to implement hreflang annotations in the section of each page. So you are forced to break the rules by not linking back from the “x-default” URL. One solution would be implementing hreflang annotations in sitemaps, although I would generally advise to avoid this option, if possible. I have seen several scenarios like the one you described that worked perfectly, although the link from the “x-default” version to the other versions of the home page was missing. Your second question was whether it is always necessary to define a default version. I do not think so. From my point of view, “x-default” is overused, as it was originally only intended for two cases: 1. The scenario you describe above, where the default website redirects based on location or language and is literally not targeted at users from any specific location or language. 2. Country / language selection home pages. Google will try to show the most relevant version to every user (not necessarily the US version). My advice: Make sure you cover your most important target audiences with the right language versions, mark it up correctly and let Google figure out the rest. You can always go to your Search Console and Google Analytics data to check if there are users that entering through the “wrong” versions and then fix the problems you find. I hope this helps! Feel free to ask additional questions. Remember to use x-default rel-alternate-hreflang annotation on the homepage / generic page even if the latter is a redirect page that is not accessible directly for users. Do you think that, possibly, a server could be configured to serve at the same time a 302 redirect AND a body with html containing the x-default annotation? About the 301 / 302 question: You should definitely use a 302 in this case. A Geo- or language-based redirect is not permanent, but temporary, so 302 is a better choice than 301. Sorry I didn’t point that out in the first place, it escaped my attention. I do not know of a way to implement a 302 redirect AND an HTML body with hreflang annotation. But you can certainly annotate an “x-default” page that redirects to another homepage version by implementing hreflang in the XML sitemaps (although this will most likely lead to other problems). I guess this is what they mean in the article you linked to (or maybe also the third option of implementing hreflang in the http header, which I do not have any experience with). I can’t think of any other explanation. But, as I said, it normally works out perfectly without the “x-default” page linking back. If there is a good guideline to follow could you point it to me. These are the codes you have to use in hreflang, and it’s really nice from a technical point of view if you use the same ones for your URL directories. So for the UK this would be /gb/. he is be redirected to https://example.com/countrycode/ if his country has separate content that is supported by us. This page will have content in english. Thus anytime if country is not detected he will be redirected to default website. 1)If we assign a page “x-default” with ” hreflang=”en”> will it help or harm? Will it stop non ‘en’ users from getting to land to our website ? 3)Or in any case non ‘en’ users will never come to know our website? 3)Will it have any impact positive? In this case I would definitely recommend to set “en” for this default version. The value “en” here is the standard, because it tells the engines that this is a version in English for users in the whole world. The value “x-default” is optional, because you just tell the engine that you also want this version to show to users that search in a different language that you don’t support. I recently saw a case of a website that did exactly what you were planning (assigning only “x-default” to one of their versions) and Google completely ignored the hreflang implementations in this case (although I am not sure if this was the only reason they were ignored). http://www.example.com/ Default page that doesn’t target any language or locale; may have selectors to let users pick their language and region. For us we have selector in each page of website, its just for region. maybe x-default alone might do. Google’s specifications do leave a lot of room for interpretation. That’s the root of the whole problem from my point of view. These two cases are the only ones in which I would assign the value “x-default” on its own, without any language value. I would do this because these URLs basically don’t have any content in a language. When your default URL does have content, it makes sense to assign it the corresponding language value. In any case, it won’t do any harm. Does a 301 redirect have influence on the HREF language tags? For some reason the English version of my site is showing above the Dutch version in Google.nl. Yes, a 301 redirect will certainly affect the interpretation of hreflang annotations by Google. For example, your hreflang annotations should not point to a URL that redirects to another URL. Instead, it should point to the final URL. Google would probably just ignore your hreflang annotations in this case. If you give me more info on your problem, I will be happy to check it out and help. Then does it main same. Which page configuration will have chance to rank more higher? When you link two or more pages with hreflang, they are considered as variants of one of the same page, so together they have good chances of ranking. One page for the entire world on the other hand has very good chances of ranking too, as it bundles the entire relevance on just one URL. The only problem here could be that Google has difficulties figuring out that there is dynamic content depending on the user location. The Google bot would have to come with an IP from every country you are serving and then understand that the changes it encounters every time it visits are due to the IP change. There might be some new markup for this in the future. Right now, the only really good solution I can think of would be having different URLs for different countries and linking them with hreflang annotations. But as you have already pointed out, this would be too much work for you. So you should probably just stick with the solution you have, test how well it works and see if Google has problems with it. Should we geo restrict or not? Does your “x-default” version redirect to one of the others based on the user’s IP or does it have content? If it has content, you should assign it a language value (“en”, I assume) in addition to the “x-default” value. I need some help regarding our case. We have same URL for all countries which we are targeting.Its a global site in English and on single domain. Apart from price, sidebar content will change for different country. The main article and comment section remains same for all countries. So in our case does hrelang tag matters? and the USA prices gets indexed. So will this hamper our users in UK or India where the primary variation is prices. I never considered this tag , but since launch is nearing I am worrying over this. Thanks a lot for your comment and your interesting question. If you keep the solution with one URL for all countries, you do not need hreflang tags on your page. However, you have a point asking yourself whether it might be a problem that Google will only index US prices. You could consider a solution where you have different URLs for the different currencies / countries and link the different versions with hreflang annotations. This way you could make sure that Google indexes all of your prices (and also the additional content) and shows the right version to the right user in the SERPs. When implemented correctly, hreflang works very well and Google serves the right results based on the user’s location very reliably. This list could be expanded, of course. Feel free to ask more questions if things remain unclear! Your reply means a lot for someone who has limited resources. And you replied so swiftly, that’s very unexpected in a good way. Currently it is 10-15 countries and it could be raised on demand. Having one URL is the most logical for me. It is easier to manage, easy to share for users etc. Whereas having separate URL for each country for minor changes is added burden. The more I think, the more trouble it is for us, since we not only have website generated pages by in-house publishers like myself. But users can create pages and save them, and thus having a different URL per country is tough to manage. In fact it has no use for me and looks more harmful. What is your view, since we can start handling more countries etc down the line . If having a separate URL for every currency or every country would require additional efforts, you should just stay with the solution you have – one URL for all countries. This is obviously a bit more difficult for search engines to crawl and interpret, but as the link you shared above shows, Google is already trying to figure out this kind of content serving. Hi Eoghan, in hope that you still answer questions here. i have .co.uk and .com cctld with same content, only difference is price symbol. Should i use hreflang on both cctld even though cctld is country specific? will google consider it as duplicate? Yes, I do still answer questions here. I’ve just had trouble keeping up with the questions lately because I’ve been very busy. Thanks for rubbing it in my face 🙂 It motivated me to reply to all unanswered questions right away. So, about your question: Yes, you should definitely use hreflang here! You can tag the .com version as “en” (English language version without specific country) and the .co.uk version as “en-gb” (English language version for users in the UK). That way Google will show your .co.uk version to users in the UK and your .com version to all other users that search in English. Google will not consider your content versions as duplicates if you mark them up with hreflang. how use hreflang when not have a same or similar page in another language and domain, example a blog or a specific article about that country. Can you point hreflang to index page in cases when not have a same page on another domain. I still want users go to there language domain on all pages between my domains. When you don’t have a version of a page in another language or for another country, you should not use hreflang on that page. You cannot point to the home page of another language version. The reason is simple: hreflang annotations are bidirectional, so a page that is linked to with hreflang has to link back. This means that pages with hreflang annotations always come in pairs or groups and that one page (like a home page) cannot be the target of hreflang links from many different pages in another language or country version, but only from one equivalent page in every other version (the home page in this case). It’s necessary to put hreflang code on all web pages(english page, french page) or only one page? Hello! hreflang annotations are always bidirectional, so each poage that you link to has to link back to the page it is linked from. This means that hreflang annotations have to be placed on all language and country versions of your website. I already think this is a dumb question. I have a .com and a .ie site. Should I include the hreflang tags on both my .com site as well as my .ie site? Hi Tim, hreflang would be perfectly suited in your case to show search engines that the content on your .ie website is intended for Irish users while the content on your .com website is intended for international users. The tags should be included on both sites, each one of them pointing to the other. If you have any further questions I will be happy to help. Thanks for this and the related article about hreflang with canonicals! 1) Is it ok to use hreflang when rewriting a LOT of an article (eg: all new title, adding sections, major editing, etc)? What about when changing the url as well? 3) Do you know how google treats backlinks in regards to hreflang variations of an article? eg: does a link pointing to /us-en/ also help the global / version as well as a /in-en/ version? Do links “trickle down” from a global version to /us-en/ and /in-en/? 1) Let’s say you have an article about cell phones for US users and you decide to rewrite it for UK users. So you talk about mobile phones instead of cell phones, you change the title, the URL and the language and spelling. You might replace a passage about AT&T with a paragraph about BT, a British provider. But you are still talking about the same thing, portable phones, so it is absolutely correct to link the articles with hreflang. 2) This sounds like hreflang is being ignored by Google. This normally doesn’t happen when hreflang is implemented correctly, so something might be wrong with your implementation. Or, in rare cases, there might be other ranking signals that outweigh hreflang, like lots of UK links pointing to your US version and vice versa, or contradicting ccTLDS. Make sure hreflang is implemented correctly and that it is in line with all other ranking signals. 3) Yes, backlinks to one version of an article definitely help the other versions that are connected with hreflang. I hope this helps! I typed this on my mobile so sorry for the brief response.